Twitter rolled out its advanced analytics tool a few years back and has only taken it to the next level with time. Because the company has created a mobile app and added plenty of other valuable features, you can easily use Twitter Analytics to redefine your marketing strategies. All you need to do is visit your Twitter’s native analytics dashboard right here. It provides a wide range of data related to your presence on the social media giant. There are different kinds of parameters related to your followers, impressions, favorites, engagement, and more. These metrics can provide valuable insights to you so you can propagate the overall reach of your content on Twitter. 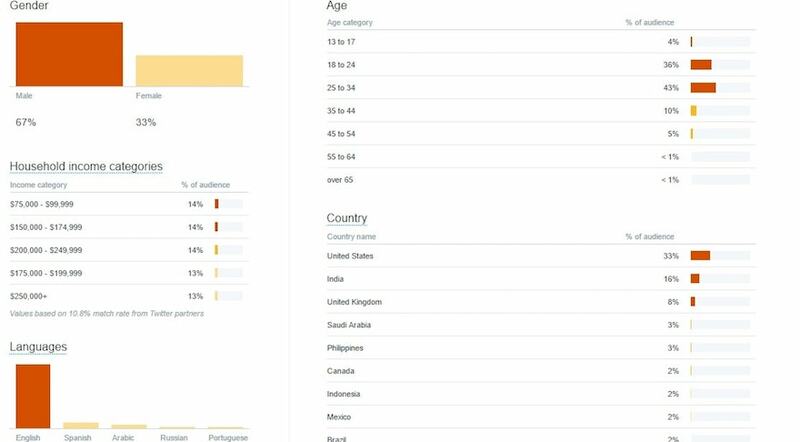 In this post, I will make you familiar with the various types of information you can obtain from Twitter Analytics. Read on to learn how to level up your Twitter marketing game. When you know about the built-in analytics Twitter offers, you can use it as a valuable tool. I have handpicked a few essential insights that you can obtain from the Twitter Analytics dashboard. In the analytics dashboard, you can easily switch between various tabs. Under the “Tweet” section, you’ll see the overall impressions of your tweets. You can use this data to analyze the way your audience reacts to your tweets, as well as determine the best time and day to tweet. The data will tell you about your audience’s interests so you can focus on the kind of content that worked well in the past. Then you can alter your content plan by paying more attention to your popular posts. You can always filter this data with respect to different time periods. Simply tap on the calendar icon at the top and choose your parameters. Doing so will give you new insights regarding the overall performance of your tweets. All marketers understand that without getting to know their audiences, they can’t really come up with winning marketing strategies. When it comes to Twitter marketing, you should walk go the extra mile in order to know your audience. 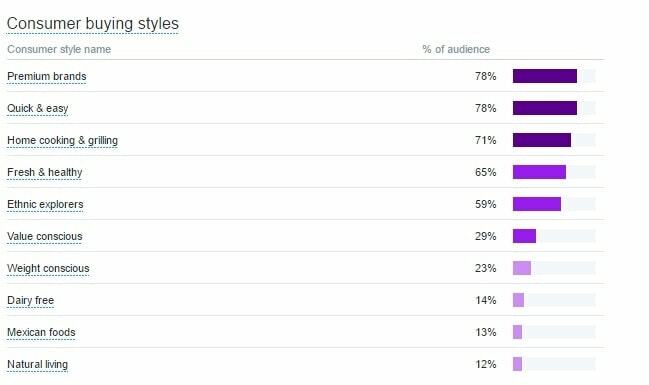 Thankfully, Twitter Analytics provides an excellent breakdown of this info under the “Audiences” tab. Below you can see a screenshot of the analytics for my Twitter account. Most of my audience is interested in marketing, technology, tech news, and more. You can see that entrepreneurs and marketers comprise my audience. Therefore, if I want to gain more traction, I should post news related to startups, technology, and other relevant subjects. The Audiences tab can also help you know how your audience is inclined politically. You can even know the kind of TV genres that your audience likes to watch. While developing your content plan, you can utilize this information to your benefit. The “Audience” tab in the native dashboard of Twitter analytics is undoubtedly the most powerful section. As stated above, you can easily use it to know what interests your audience. But if you want to take things to the next level, then you can also get in-depth analytics about your audience’s demographics. This information will help you determine the best time to post your tweets and your target audience’s age, gender, language, income, and more. For example, if you are a brand manager of a premium lifestyle brand, then you can easily use this information to target your prospective customers while running a paid campaign. 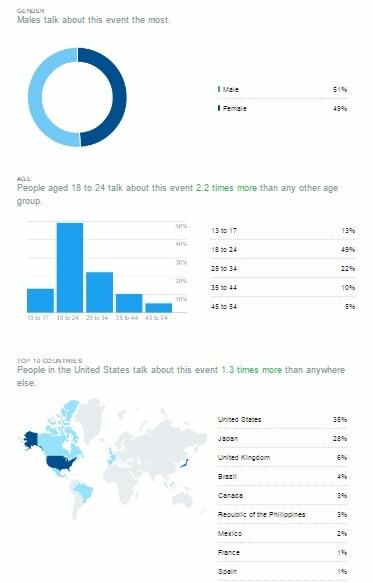 Twitter Analytics is not merely helpful for knowing the lifestyle or the demographic breakdown of your audience. You can also get to know about their consumer behavior as well. Knowing consumer behavior is of the utmost importance to brand representatives and small business owners. You can use this information while targeting your audience in order to generate more leads. With time, your number of followers might grow or even shrink. You should always pay attention to this number, as it directly affects the overall reach of your content. The analytics dashboard provides a way for you to view changes in your follower count within seconds so you can make thoughtful decisions related to your prospective marketing plans. If you want to succeed as a social media marketer, then you always need to stay at the top of your game. Doing so involves pushing the envelope and staying updated with all the ongoing trends. Fortunately, Twitter Analytics can make your job a whole lot easier by helping you design your next marketing campaign around a trending event. Simply visit the “Events” tab and get to know about upcoming major events. Then create a campaign or a marketing strategy around these events. You can filter the events based on your audience’s interest so you can stay a step ahead of your competitors. For example, if you wish to plan a campaign around Mother’s Day, but can’t really decide if doing so will help you or not, then simply view the details about Mother’s Day. You will get an in-depth breakdown regarding users who are talking about this holiday. This breakdown will include gender, location, age, and other key demographics that can help you make crucial decisions related to your marketing strategy. You can even search for a key event by its name or filter it by location or event type. You can use the analytics tool to gain insightful details about your top content. 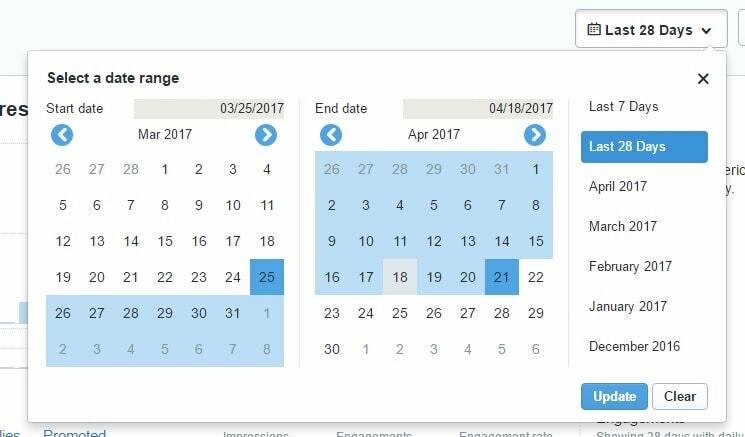 In the “Tweets” tab, you can find the engagements, impressions, and the engagement rate of your top tweets for different time periods. Also, you can get other details regarding link clicks, likes, retweets, and more. By getting to know about your most popular tweets, you can figure out what interests your audience. Try to repeat the key characteristics of your top tweets to develop the kind of content that will resonate with your audience in the future. All marketers want to know if their promoted content is able to reach out to their target audiences. The analytics dashboard provides a quick and hassle-free way for you to measure the reach of your content. Simply hover on the histogram to gain valuable insights to measure the ROI of your promoted content. Note that as of now, Twitter can only track this data for the last 91 days. If you want to gain more information regarding your paid content, then you can always visit the Twitter Ads dashboard. It can help you create promoted campaigns, analyze the views of your promoted videos, drive conversions of your app installation, and more. It can help you create promoted campaigns, analyze the views of your promoted videos, drive app installation conversions, and more. 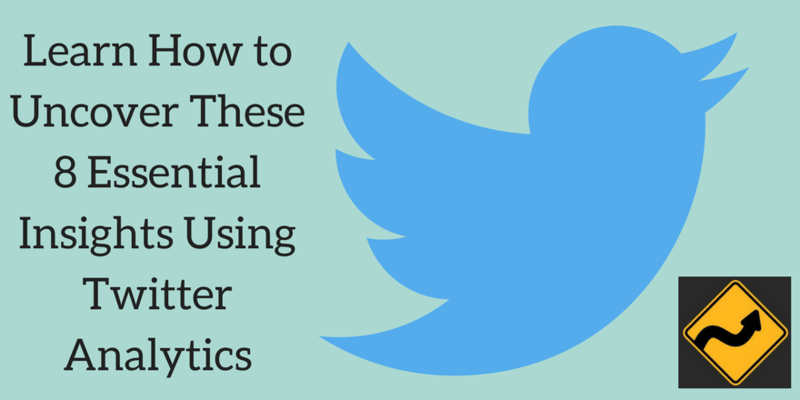 There are also plenty of Twitter Analytics tools that you can use. With the assistance of these third-party tools, you can gain more details about your presence on Twitter. Lastly, you can export these insights as well. Just click on the “Export Data” button if you wish to generate an extensive report containing the information you found in the analytics dashboard. I’m pretty sure that after gaining all this crucial information, you will be able to step up your marketing game on Twitter. Go ahead and leverage the above information for using Twitter Analytics, and make the most of this powerful social media platform. Maximize the impressions of your content, and make sure that every photo, video, or update that you post will reach out to its target audience. Feel free to drop a comment if you have any doubts regarding Twitter Analytics or social media listening. Now I have got an idea as how to increase marketing strategy with the help of twitter analytics. I recently started exploring social medias for my blog. I’ve been searching for articles to help me better understand them, and yours is fantastic. At the moment I only have 50 followers, and I haven’t invested enough time to get more followers. Once again good job on this article I had no clue you could study all that date about Twitter. The information you provide is really very important. Every point is well explained. Twitter is very popular and the information you have provided can do wonders if apply correctly. With so many tools, it can be easy to forget the basic abilities of your platform of choice. Thanks for the reminder. Heading off to check out my audience. Pankaj – I love the Twitter analytics, I think they are better than Facebook insights. They tell you what you audience likes and helps you to tweet better for them. There is such a weath of info in them that I don’t believe many read or check. Their export data is great too to keep checking your results over a long period of time. 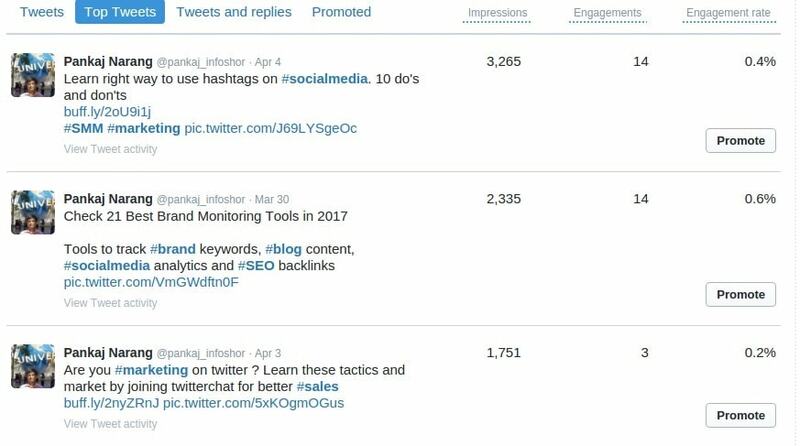 Thanks for your article Pankaj had underestimated a large amount of the Twitter dashboard data, now I’ll revise my campaigns more carefully. In this article Twitter analytical format which is so useful for us ,and all these points are so informative .